Access denied, you need to be logged in to view this content. Resend activation link. Telecommunications Act: see BGBl. No. 70/2003, i.d.F. BGBl. No. 133/2005 (Telecommunications Act 2003 – TKG 2003). Telekom Austria AG is owner of the website. 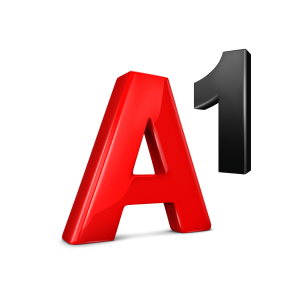 The website and the free newsletter available via the website serve to provide information about the activities and development of the A1n Telekom Austria Group and its products. Information is additionally provided on information and communications technology, as well as topics from different areas of life. full service telecommunications provider of long distance, local and wireless services, corporate data communications services as well as internet services. This website contains forward-looking statements. These forward-looking statements are usually accompanied by words such as “believe”, “intend”, “anticipate”, “plan”, “expect” and similar expressions. Actual events may differ materially from those anticipated in these forward-looking statements as a result of a number of factors. Forward-looking statements involve inherent risks and uncertainties. A number of important factors could cause actual results or outcomes to differ materially from those expressed in any forward-looking statement. Neither Telekom Austria nor any other person accepts any liability for any such forward-looking statements. Telekom Austria will not update these forward-looking statements, whether due to changed factual circumstances, changes in assumptions or expectations. This website-content does not constitute a recommendation or invitation to purchase or sell securities of Telekom Austria. The content of this website has been prepared to be used by A1 employees, contractors and third parties. The content of the website is considered protected by copyright according to the applicable laws. No part of this website may be reproduced or transmitted without written permission of A1 Telekom Austria Group.